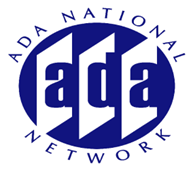 Diego Demaya is a Diego is a non-practicing attorney working as a human resources adviser and lead provider of ADA technical assistance with the Southwest ADA Center covering a five state region. He has been with the Center for 15 years. He specializes in labor, education, and healthcare issues. Diego earned a B.A. in Humanities from the University of Houston and a Juris Doctor from the City University of New York School of Law. He has trained law enforcement on the ADA and liability, employers on Title I reasonable accommodation policies, and educators on various topics: Accommodations, effective communication, student mental illness issues, and policy planning. He has provided workshops for institutions pursuant to OCR consent decrees and settlements. Diego was trained by US DOJ on the ADAAA regulations and participates in collaboration projects with local and State agencies. In 2014 he was appointed to the Texas Employment First Taskforce pursuant to legislative mandate to review disability-related employment practices of Texas state agencies.